Were any of these cereals part of your childhood? Do you still rely on some of them when you need a late-night snack? Take a flashback tour with us of all your favorite breakfast standbys. 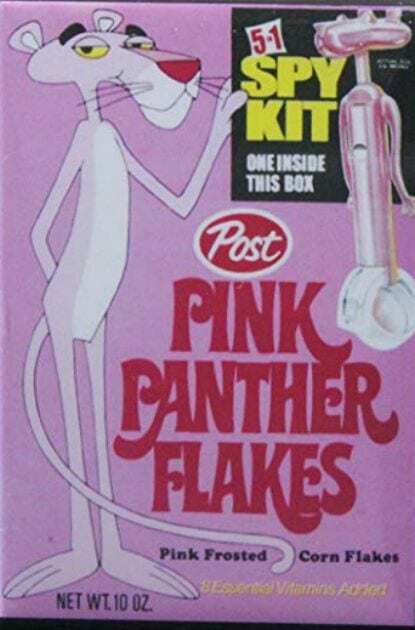 Post’s Pink Panther Flakes were conceived as a 1972 tie-in with The Pink Panther Show, an animated Saturday morning offering. One popular feature of the cereal was its ability to turn milk instantly pink as soon as it made contact with the flakes.